William Biros ~ The expertise you need in today's market! 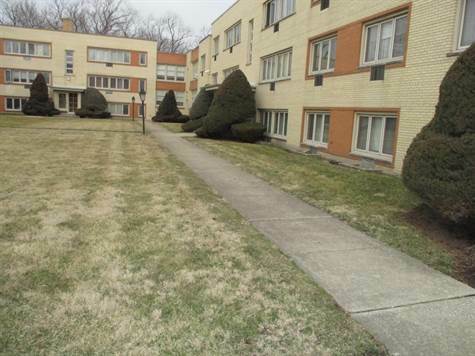 "Well Cared Building With Laundry Facilities"
2 Bedroom - 2nd Floor Apartment In Well Cared For & Secure Apartment Complex In The Beverly Area. Stove & Refrigerator Supplied. Maintenance Service & Laundry On Premises. Public Transportation in Walking Distance. Tenants Pay Electricity & Gas. Hardwood Flooring In Living Room And One Of The Bedrooms. Owners Seek Occupants With Verifiable Rental Histories And Favorable Credit. Rice Property Management & Realty, L.L.C.